Are you seeking advice for finding the best stethoscope? Is your child finally in medical school? Are you dating a nurse? Are you a practicing clinician who has been disappointed with the stethoscope you own now? Whether you are buying a stethoscope for personal use or for a gift, We have got you covered. Your occupation matters and people who work in health services rely on their stethoscopes and need high quality devices. Your stethoscope is an important tool that helps you provide expert care to your patients. You need a good stethoscope for your medical practice. It must be reliable and have all the best features while staying budget friendly. Finding the best stethoscope can be difficult with the range of brands all claiming, their product are the best of them all on the market. To help you with your decision, we have examined the research and compiled a detailed list of options that also includes reviews from medical professionals. Note: When it comes to stethoscopes, you usually get what you pay for. Purchase a cheap one and you’ll hear a lot of ambient noise and unclear heart sounds. There are also some extremely expensive stethoscopes, but they might be too much for what you need. A mother or father trying to take good care of their child doesn’t need the same level of stethoscope as a cardiologist. 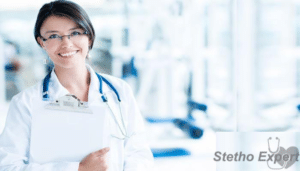 While there isn’t really a “best” stethoscope that fits everybody’s needs, because different people have different needs, there are some clear winners when it comes to choosing the best quality stethoscope for your own needs. Please use our comparison chart below to quickly check out the best brand of stethoscope and compare different models and their features. The Littmann Classic II S.E. is a good stethoscope that comes highly recommended by doctors, nurses, medical students, and EMTs around the globe. It is not quite as advanced as the Cardiology III, but unless you are a cardiologist, this model will give you an excellent quality sound and all of the features you really need. Great for medical students, nurses, and home use. This is one of the best acoustically sensitive stethoscopes available. It is lightweight (135 grams), has a quality tunable diaphragm, provides loud clear sounds, and has comfortable earpieces. If you have been searching for a stethoscope for blood pressure that delivers quality at a reasonable cost, the Littmann stethoscope Classic II SE is the ideal solution. Reviews support our recommendation. On Amazon it has Over 750 positive reviews with over 600 buyers giving it 5 star reviews show that your medical colleagues overwhelmingly appreciate the quality of this stethoscope. It is durable and is also available in multiple colors. High quality loud and clear sound. Over 960 customer reviews, with over 760 of them being 5 star! The 3M Littman Stethoscope Lightweight 11 S.E. is a great buy no matter how you look at it. Need a stethoscope that simply works? Need one that is easy to work with? Need one that you can afford? There really isn’t any reason not to buy it. In fact, it is such a steal that it is recommended for those looking for a great entry level option. The chestpiece is shaped to make moving it around easier with any bandages, cuffs, and wires that might be in the way. 3M Littman Lightweight 11 S.E stethoscope is really light and manageable for any level of medical staff and of course the concerned, cautionary parent. Also, the diaphragm on one side of the chest piece can be tuned to fit every medical situation, making this stethoscope preferable to others on the market. 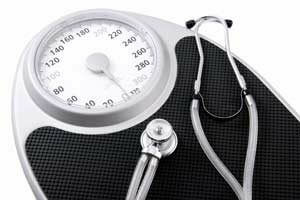 It can be used for gauging the blood pressure of a patient as well as listening to a large number of bodily sounds for the purpose of assessment and diagnosis. The Littmann tunable diaphragm secures a lot of necessities and bonuses like reliable and undisrupted acoustics, the ability to change the settings to fit the situation, and even saving valuable time to spend on the patient instead. The resin tubing along it can fold to fit comfortably in a pocket to be transported without lying across the neck unsecured. The stethoscope is equipped with Snap Tight Soft-Sealing Eartips that successfully create an acoustic seal inside the ears. This means that bodily sounds can be heard without any interruptions from the rest of the world. The Littmann Stethoscope Cardiology III is one of the most purchased and highest rates stethoscopes on the market today, and for good reason. 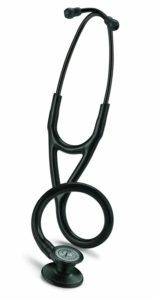 Littmann stethoscopes are used by cardiologists, medical students, and doctors around the world and provides a high quality at an affordable price tag. 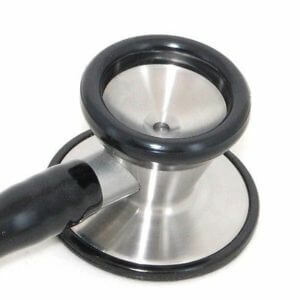 This stethoscope is known for having a loud clear sound, and is quite versatile. This is an extremely good stethoscope with great built in quality, loud and clear sound, tunable diaphragms on both sides, and it is appropriate both for adults and pediatric patients. Durability and versatility are features of the Littman Cardiology III stethoscope. It comes with diaphragms on both sides of the chest piece out of which the small diaphragm can be removed to convert this part into an unlocked bell to capture low frequency sounds. Cardiologists, pediatricians and medical students commonly use this stethoscope to listen to heart and lung sounds. With its unique tunable diaphragm, this stethoscope makes it easy to switch between bell and diaphragm modes by giving a simple pressure change on its chest piece. 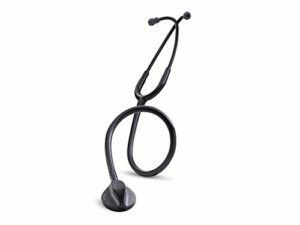 With a 43mm wide diaphragm, 27 inch length and non chill rim, this stethoscope is a popular choice among health care professionals. It provides good value for your investment and is highly recommended for everyone. The dual-sided chestpiece provides superior auscultation in both adults and children. Comes with 2 tunable diaphragms that can be tuned by the amount of pressure you apply and captures high and low frequency sounds with ease. The pediatric side of the diaphragm can easily be converted into a bell, using the nonchill bell sleeve, to accurately hear the lower frequencies a diaphragm doesn’t quite capture. The headset and ear pieces are angled just right to meet the angle of the ear canal just right. Nonchill rim, weighs 180 grams, 27 inches long, and the diaphragm is 43 mm wide. 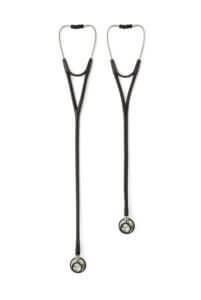 The 3M Littmann Stethoscope Master Classic II is also a great pick. In fact, it is one of the best in the world as it is extremely easy to use and great at doing its job as well. Anyone in the medical field knows how important it is to have a stethoscope that does the job and does it easily, but how hard it is to find one without sacrificing the other. This stethoscope requires no compromise from any angle, as it offers everything that you could possibly need. The diaphragm is tunable without the process of removing, indexing, and replacing. You get the correct assessment every time by being able to customize the diaphragm to fit the equipment to the situation and with less time and effort on such a minute task. Furthermore, the chest piece has only one side, so you don’t have to waste time tediously switching back and forth. 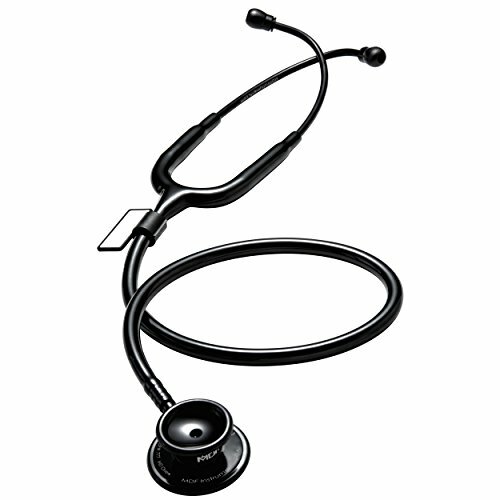 This stethoscope is used by a variety of different people, from students to certified doctors and nurses to the average, everyday mother, to complete all manners of audio-related medical procedures, including studying heartbeats or just listening to the bodily sounds that the receiver is making to make an accurate assessment and diagnosis. To make things even better, the headset is one of the few that actually lines up correctly and comfortably with the ears, so you can actually hear sounds properly. Also, the rim and diaphragm are resistant to chilling to prevent causing patient discomfort. The Clarity of sounds are similar to the Littman Classic II SE but it lacks the double sided chest piece. It is a bit heavier at 160 grams and provides a 44 cm diaphragm. With good comfort and all the other features of the Littmann, it is a good stethoscope but comes in at a slightly higher price point. If you are looking for a high quality stethoscope, but don’t need all of the extra features that a doctor or cardiologist would need, then the ADC ADSCOPE 603 Stainless Steel Stethoscope is just what you’re looking for. At a lower price point than the previous two Littmann models we’ve covered, the ADA ADSCOPE will give you the basics at an affordable price. Highly recommended for nursing students and parents. Not quite as functional as the Littmann stethoscopes, it is still a good purchase for the value conscious professional since the price is a little lower. The sound quality is second to Littmann and with a heavier chest piece it is slightly less comfortable. A lifetime warranty is also a great feature that makes it popular with health services professionals. While this particular stethoscope doesn’t have quite as rich of a feature set as the Littmanns above, it has everything a medical student, nurse, or parent could want for basic heart monitoring such as. We have tested Littmann Classic II SE, Littmann Cardiology III, Littmann Stethoscope Master Classic, and we recommend the LITTMANN CLASSIC II SE and LITTMANN CARDILOGY III as the best stethoscopes for medical practitioners. These two stethoscopes provide the best range of features to meet your needs while providing care and diagnostics for your patients. To examine the qualities of each, let’s consider the features that you will be looking for when choosing your stethoscope. Teaching stethoscopes have two headsets so the instructor and student can listen to body sounds simultaneously. If you’re on this site, you’re obviously looking to buy a stethoscope. But a lot of people here may not know what to look for in a stethoscope? What are the qualities that are considered good or bad? Stethoscope Hat is it that truly impacts the performance of the device and in turn affects your performance at your job? Let’s talk about it. Buying a stethoscope was never so easy. Below is a discussion on each quality I personally look for in a stethoscope. Obviously, nobody wants to run around working with a piece of crap visually. If you’re going to use this thing daily and be seen with it, you want to represent yourself as someone who cares about his or her job. Think about how far this impact can go. It can change the way your superiors think about you and change your chance for advancement and promotion. I’m not kidding! So at very least, buy a stethoscope that looks good. This device is going to be hanging off your neck and sticking into your ears. You don’t want it to be ridiculously heavy. Even if you don’t wear it around your neck, but put it in a stethoscope holder when not in use, you don’t want it pulling on your waistband either. A good weight is around 6 ounces, which about 180 grams. Just above or below that is considered good. Anything much higher is just annoying and much lower and it’s probably made out of plastic. One of the metrics related to stethoscopes that directly affects the way it functions is the width of the diaphragm. The sensitivity grows as the diameter of the diaphragm grows. The cheaper and lower quality stethoscopes have diaphragms around 1.38 inches, which is about 3.5 centimeters. The good ones come in right around 1.7 inches or 4.3 centimeters. Here, you aren’t going to struggle hearing what you need to hear. It also goes to say that the rest of the device will be of high quality as well, which will help you hear even better. Now, when I mention the length of a stethoscope, I’m talking about the measurement from the ear pieces all the way down to the bell when stretched out fully. This matters because, if a stethoscope is not long enough, you’ll find yourself bending over constantly, or getting too close and breaking the personal bubble of your patient. Plus it’s just an annoyance to not work freely without contorting yourself to get the basics of your job done. You may think the longest one is the best, but that’s not always the case either because, it’ll be dangling around everywhere when not in use. A good length is 27 inches or around 69 centimeters. Too short is about 25 inches and too long is 30 inches plus. You want to consider the material being used in the construction of the stethoscope, whether or not you can replace certain pieces as they become used, and some other small considerations. But the magic is, if you follow the stats I talked about above, the rest of it will fall into place without you having to bother about it. I can tell you right now that, the best one on the market is the Littmann Cardiology III which already covers these metrics perfectly. It’s the new standard for everyone else to follow. Medical students and professionals alike depend on their stethoscopes to aid in diagnosing patients. When selecting your stethoscope, you need to be sure it will be dependable an audible no matter which medical career path you have chosen. Comfort and functionality are also important factors when making your selection. Littman stethoscopes are what you need to get the job done and get it done right. With several options to choose from to personalize your stethoscope, you can have audibility, dependability, functionality, comfort, and style, all in one. Doctors from practicing family physicians to cardiologists will benefit from the clear and true audio performance and comfort of the Littmann Stethoscope Cardiology iii. This stethoscope is lightweight and flexible for ease in carrying all day long. The double-sided chest piece is suitable for both child and adult patients. Another good choice is the Littmann Cardiology S.T.C. (Soft-Touch Chestpiece) Stethoscope, with the easy to grasp soft touch chest piece. Both stethoscopes have tunable diaphragms with noise reduction in the tubes. Nurses tend to prefer lighter weight stethoscopes that still offer dependability and function. The Littmann Classic ii Stethoscope is the top choice for nurses due to its audibility and comfort when compared with other models. 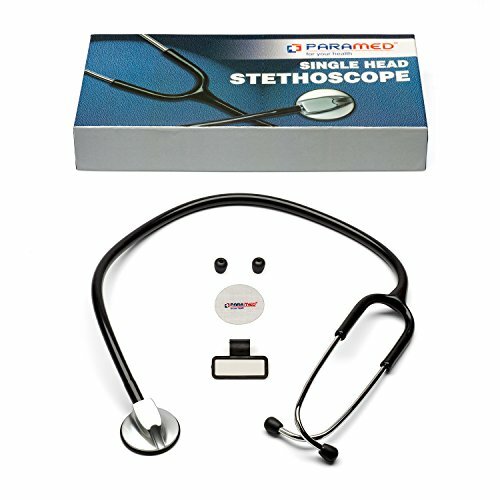 This stethoscope also offers a two sided chest piece for both child and adult patients, at a price that is easier to handle than some other models. Another popular choice is the Littman Select. Both offer quality and comfort at an affordable price. EMTs need a stethoscope that offers audibility and dependibility as well as durability and the ability to handle quick action and rough treatment. It is often difficult for emergency services personnel to hear well, depending on the scene, so amplified sound with noise reduction is a must as well. The Littmann Electronic Stethoscope meets all the criteria needed by emergency services professionals. 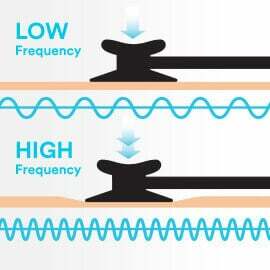 This stethoscope reduces ambient noise while amplifying patient sounds. Another good choice is the Littman Master Classic II, which offers comfort and enhanced sound quality. Medical students need an accurate stethoscope in order to learn the differences in many important sounds in the body, especially when it comes to different sounds in the heart. As with doctors, the best bets are the Littmann Cardiology iii Stethoscope with its double sided chest piece and convertible bell. The Littmann Cardiology S.T.C. (Soft-Touch Chestpiece) Stethoscope is also a top choice due to its audibility and easy grip chest piece. However, many medical students are looking for a more affordable alternative. 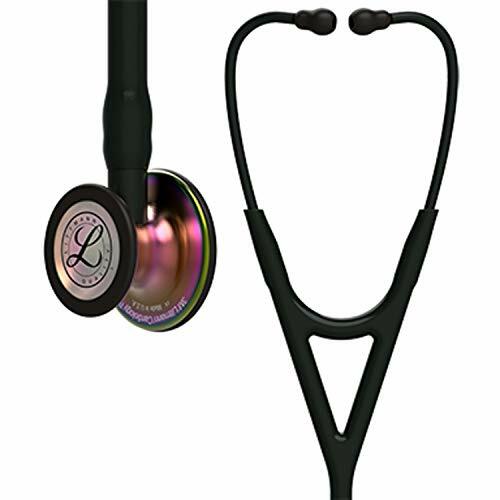 This makes the Littmann Classic ii Stethoscope the preferred choice for many medical students. often prefer a basic model that is not too pricey yet still functional. Comfort, flexibility, and portability are all of great concern. The Littmann Classic II is often selected by nurses for its quality, comfort, and affordable price. Nursing students agree. The Littmann Classic II The double sided chest piece is good for child and adult patients, while its tear drop shape helps make it easier to use, including when sliding under a blood pressure cuff. This stethoscope is a good entry level choice when you just need the basics. Respiratory therapists are in need of a stethoscope with superior acoustics to listen for sounds in the lungs. The Littmann Cardiology III is the top choice, with the Littmann Cardiology S.T.C. (Soft-Touch Chestpiece) Stethoscope making a close second. Clear sounds are necessary when listening for respiratory problems in order to make a better diagnosis. The Cardiology III offers a dual sided chest piece, while the Cardiology S.T.C. provides a soft, easy to grip chest piece. Both offer superior audio performance and dependability. Vets work on all sizes of animals from tiny to huge, so need a stethoscope that is strong and versatile, yet sensitive enough to handle sounds from the smallest animals. Veterinarians also handle regular examinations as well as emergency situations. Most vets prefer the Littmann Veterinary Master for its durability and audio clarity. Noise reduction is directly in the tubing. It also comes with a special procedures adapter made for children but can work well with smaller animals. There are a variety of other Littman stethoscopes to meet the needs of any medical professional or student. Not only that, but each stethoscope can be personalized with your choice of tubing color and chest pieces finish. 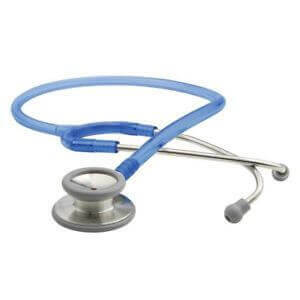 Get quality, dependability and style with Littman stethoscopes. You are here that means you are in the market to purchase a stethoscope. But are you sure you know how to use it once you receive it? Maybe you already have one and have been using it wrong for years, even decades! You can’t be sure without reading this guide. So let’s have a quick chat so we are all on the same page. If you’re going to use a stethoscope, at least make sure you’re doing it right or you won’t be able to assess how good yours stethoscope really is, which could end up with you leaving inaccurate reviews across the internet! You want to do it right so you are extracting the best performance out of your scope. When you stick this bad boy in your ears, you want the headset situated so that the angle of the ear pieces is sticking forward, which means away from your face. This will make sure the ear pieces are angled into your ear canals and not digging into the back and bottom of them. The main thing about wearing them backwards, besides the pain, is that you won’t get a proper seal and the acoustical waves which represent the sounds may leak out or be blocked totally from you even hearing them. To reiterate, the curvature of the chest piece should be situated so the ear pieces are aimed forwards towards your face, not backwards towards the back of your head. You want to use the proper ear tip size for two reasons: to reduce pain and most importantly to make sure you’re receiving the best acoustical performance of your stethoscope. You want soft tips to create a seal for the sound and to provide comfort. But you want them to fill your ear canal without causing pain, so don’t use any that are too thick. If they are too small they won’t seal well though. You’ll know when they are right and most stethoscopes will provide small and large options. Just try both. Make sure, first off that there are no obstructions in your ear pieces from tossing your stethoscope in your bag, pocket, car seats, etc. You don’t want lint or paper or dog hair inside the chest piece or tubing or you won’t be able to hear clearly. Also, make sure the tubing in sealed to the chest piece and the bell or you’ll be leaking sound out and allowing unwanted sounds in. Some stethoscopes let you rotate the bell to close or open it. This lets you block sounds while keeping the stethoscope in your ears for the moment. If you can’t hear any sounds, make sure the bell is aligned into the open position before assuming theirs anything else wrong going on! If you’re going to clean your stethoscope (you should!) use 70% isopropyl alcohol wipes or cotton balls. Never dunk your stethoscope into the full on liquid solution. If your tubing ultimately becomes stiff and rigid over the years, you might need to order a replacement. You can’t soften them up. They get stiff from being exposed to skin oils over time. It happens and is part of the deal. If you follow the information above, you should be using your stethoscope properly. And you have the knowledge to correct anyone you see goofing up and wearing their stethoscope backwards! If you want more information, check out FAQ. I recommend reading that if the above information wasn’t indepth enough for you, and then returning here and checking out our selection of stethoscopes! It is natural for you to raise several questions about this purchase, especially when you have no background or experience in the medical field. To ease your anxiety and to provide you ample assistance, I answered some of the common questions asked about cardiology stethoscopes. 1.What Is A Cardiology Stethoscope? 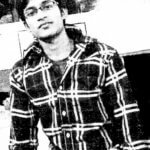 Cardiology stethoscope, also referred to as cardiac stethoscope, is a special type of stethoscope. It is designed with features which enable it to perform superior functions among the others. 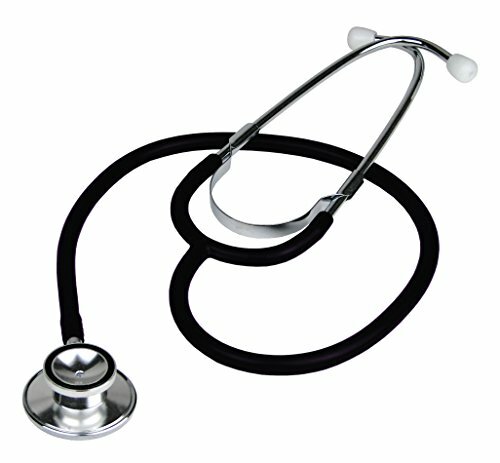 I know you must be confused and curious as well if there are other types of stethoscope in the market. To give you a brief explanation, let’s check the next question and determine the different stethoscopes. 2.How Is A Cardiology Stethoscope Different From A Regular Stethoscope? 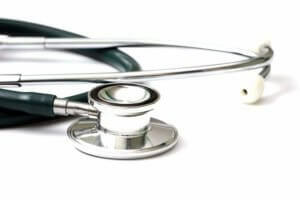 Generally, a stethoscope is an essential medical instrument used for the amplification of the sounds coming from the different parts of the body. These include the heart, lungs and abdomen. This function can be expected from both a regular and a cardiology stethoscope. One major difference between the two is the chest piece. The chest piece of a regular stethoscope has a bell and a diaphragm. The bell is for sounds with low frequency, while the diaphragm is for those that are high. Instead of having a bell and a diaphragm, most cardiology stethoscopes feature a tunable diaphragm on both sides. Would you like to know the benefits of a tunable stethoscope? If so, let’s check out question #3 and discuss it. 3.What Are The Benefits Of Having A Tunable Diaphragm? With a tunable diaphragm, the examiner does not have to remove the chest piece from the patient in order to listen for high and low frequency sounds. Low frequency sounds are heard louder with a tunable diaphragm than with a regular bell. Since tunable diaphragms are present on both sides of the cardiology stethoscope’s chest piece, the large side can be used for adult and the small side can be used for pediatric or thin patients. This spares you from buying two different stethoscopes for these two populations of patients. 4.What Are The Other Basic Parts Of A Cardiology Stethoscope? Aside from the chest piece, there are three other basic parts of a cardiology stethoscope. The first is the pair of ear pieces. These are the ones which you fit into your ears. Second is the pair of ear tubes. These ear tubes are responsible for attaching the ear pieces to the stethoscope’s main body. The last basic part is the tubing. The tubing connects the chest piece to the ear tube. Here is a link to an illustration of the mentioned parts I know you want to know more so on our next question let’s talk about the great components of a cardiology stethoscope. 5.What Makes A Good Cardiology Stethoscope? The first thing that you need to consider is the fit of the ear pieces. 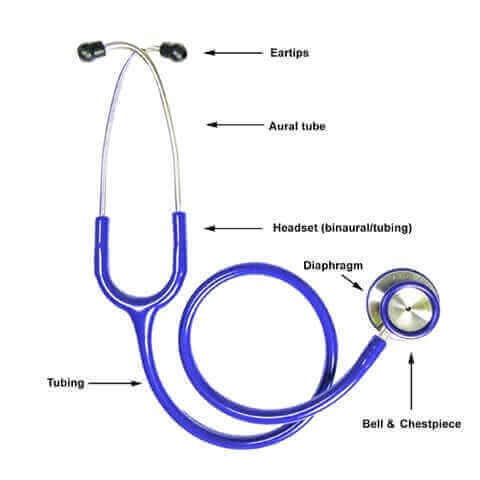 Ear pieces are the part of the stethoscope which you will actually wear. That is why you need to make sure that you are comfortable with how well they will fit inside your ears. Make sure that they also provide great seal and durability. For the ear tubes, it is best to purchase a model which is made of stainless steel. This will guarantee better longevity. Finally, your cardiology stethoscope should feature tubing with appropriate length. Make sure that the length is ample enough to make examination comfortable for you and your patient. Are you curios if the hearing ability using short or long stethoscope tubes are great? Let’s check on the answer that is found on our next question. 6.Will I Hear Better With Short Tubing? This was believed before by earlier publications but recent laboratory testing revealed that the difference between the sound transmitted by short and long tubing is not extremely significant to be picked up by an average person. Thus, tube length is no longer considered to affect the auscultation response. Just make sure that the length is long enough to comfortably drape your stethoscope around your neck. Ensure that it does not cause you the hassle of bending over just to reach the patient you are examining. 7.How Much Do They Cost? The price of regular cardiology stethoscopes with outstanding quality ranges from $150 to $250. There are cheaper models available. Since you will most likely get what you paid for, you need to be wary about purchasing more affordable models. If you are buying for educational purposes, it may be advisable to keep your budget below $200. Now that you know where to purchase a high quality stethoscope, let’s talk about the companies that are well known for its cardiology stethoscopes on our next point. 9.What Are The Companies Known To Manufacture High-Quallty Cardiology Stethoscope? 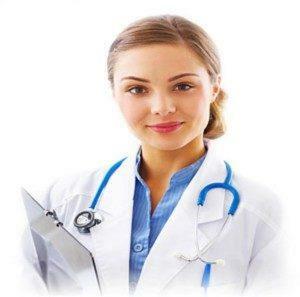 The most popular brand of stethoscope is Littmann. It has remained at the top of the business for several years now. Littman Cardiology and Littman Master Cardiology are among the series they offer. The Black Edition is also more popular compared to the others because of the sophistication it offers. A good product review of the mentioned series can be found in these .Welch Allyn is another superior brand. Its Harvey Series is undoubtedly among the outstanding cardiology stethoscopes available now in the market. Sprague Rappaport is also a great choice. Now that the list of questions is about to end, I’m sure you’d still like to know everything about cardiology stethoscope and let’s discuss it on our last and final question. 10.What Else Should I Look and Consider For My Cardiology Stethoscope? To make sure that you are making a sound choice, it is best to check the feedbacks and reviews about your selected cardiology stethoscope. This will help you identify the strengths and weaknesses of each model. This will also allow you to confirm if your selected brand can meet your requirements. Consider the warranty being offered by the manufacturer as well. You also need to check the availability of replacement parts to ensure that you can easily procure them if needed. Littman is known for this aspect. Now that some of the questions you share with others are answered, I expect that you are feeling less anxious about choosing the best cardiology stethoscope either for you or your loved one. You have definitely earned enough knowledge which can sufficiently help you procure the satisfactory item for your needs. With the guidelines provided here, you are certainly several steps closer to owning your best cardiology stethoscopes. 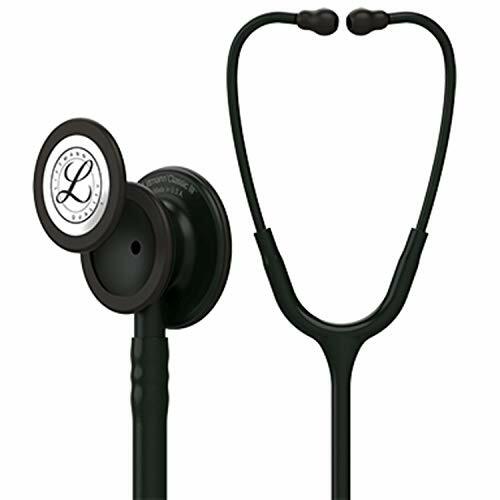 Overall, Our personal recommendation goes to the Littmann Classic II SE. The high quality, comfort and performance are excellent features that make it a popular choice in the health industry. With excellent value it is a modest price and will work hard for you in your career. The Littmann Cardiology III is loved by senior physicians, anesthesiologists, and specialists. At a slightly higher price point, it provides exceptional quality sound for your diagnostic activities. I’m probably leaving out some information. What other tips can you provide about the modern stethoscope? Finally i am fulltime in the OR and truly require another stethoscope. Had a littman Cardiology III that just strolled off one day. Need to make the buy in the following day or so to require any suggestions you have. Not searching for the most costly one but rather not shabby one either. Willing to pay a couple of hundred. Conversed with a couple and they guaranteed a chime is impt for bruit ausc ect so the master cardiology is out. Not by any means beyond any doubt whats out there and if anesthesia suppliers tend to incline toward one model versus another. Tell me, much appreciated. Master Cardiology or Littmann Lightweight II SE would be fine. Make sure you get the longer stander version. Not any shorter length one. The difference in acoustics and length won’t be seen by a human ear. Howdy…I thought about you had a thought of a decent “starter” stethoscope. I am taking a gander at Littmann’s, however don’t know which type will serve me best for least amount of $. I wouldn’t mind paying for a decent one, however in the event that I can basically get a similar thing for $80 that I can for $150…why spend more. I figured all of you would have suggestions for me. Much obliged!